You are probably like many dog lovers and consider walking your dog part of your daily routine. Walking your dog can be great exercise for you as well as your dog, and it can even be relaxing. These are just some of the many benefits walking your dog provides, but also keep in mind that hazards exist. Below are potential hazards you may encounter while walking your dog and practical solutions to help keep you and your four-legged friend safe. Problem: My dog pulls on the leash. Dogs are powerful and some can easily cause the person at the other end of the leash to lose control, even pulling the person over and causing injures. A common scenario is a dog that pulls when he sees something he's determined to get to, like another dog, squirrel, or person. Solution #1: Use a tool that gives you more control of your dog, such as a harness with a front-attaching leash, like the Easy Walk Harness®, or a head collar like Gentle Leader®. To successfully introduce a head collar, go slow and use lots of treats. Solution #2: Teach your dog to look to and focus on you rather than people, other dogs, etc. This can be accomplished using treats to teach certain commands such as eye contact (your dog looks at your eyes) or hand target (your dog touches his nose to your hand). It takes time and patience to teach your dog to focus on you during walks when there are lots of distracts. First, you must teach your dog to look to you or touch your hand in non-distracting situations, such as at home. Then, distractions can be gradually increased as long as your dog continues to focus on you. Work on commands in the backyard before practicing on walks. If your dog loses focus, back up to a distraction level where your dog was successful and progress more slowly. Solution #3: Be alert to your environment. Cross the street or go down a side street if you see a potential problem on the horizon. Avoid houses where dogs are known to charge the fence and bark. Problem: There are off-leash dogs where I walk. Solution: Solutions for dogs that pull also apply here. 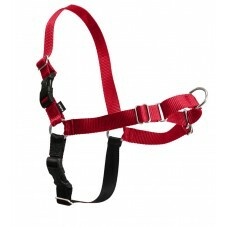 Use a harness and obedience training to keep control of your dog. Be aware of your environment to avoid other dogs. 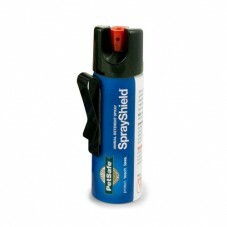 Also, carry Spray Shield® Animal Deterrent. This is a non-toxic concentrated citronella spray that can be sprayed at the dog in an emergency, such as to prevent a fight. Problem: I walk multiple dogs at once. Solution: Only walk 1 dog at a time if you can. 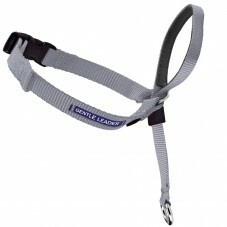 Leashes that split so that 2 dogs can be walked on the same leash offer little control and are not recommended. Of course, sometimes this isn't always possible. Maybe your walking partner can't make your daily walk, or you're dogsitting a friend's pup. Make sure you have complete control over both dogs and you're aware of any possible dangers coming up on your walk. Problem: I use a retractable leash. Solution: Retractable leash = NO control. Instead use a 4-6 foot leash for the best control. Problem: I have to wrap the leash around my hand for better control. There are safer ways of controlling your dog than wrapping the leash around your hand. You can cause serious damage to your hand if your dog jerks you around suddenly. Solution: Start with a harness and a shorter leash. Here are tips on how to hold the leash while walking your dog. Close your fingers around the remaining part of the leash handle, making a fist with your hand. Keep your hand at waist height, pretending as though it's been sewn to your belly button. Use your other hand (left hand for righties) further down on the leash to control how much slack your dog will have. Your dog should walk on the opposite side from your hand holding the leash handle (on your left side). Try to maintain a loose leash with the leash forming a "J" whenever possible. If your pet rushes forward, slide both hands together and gently but steadily pull the leash toward your navel. Bring one foot forward while the other foot is planted back with your weight on your back leg. Problem: My dog eats things off the ground. Some items can be toxic, and others can cause stomach blockages or lead to diarrhea and other serious medical problems. Solution: Have control of your dog by using a head collar. Some dogs are so intent on eating items off the ground that it is only safe for them to be walked while wearing a basket muzzle. Muzzles create a physical barrier, preventing your dog from being able to eat items off of the ground. Teach your dog Leave It and Drop It commands, starting at home and using items that can't hurt them. Carry treats that your dog really likes on walks. In an emergency you can trade your dog for item that may be dangerous (chicken bones) when swallowed. Problem: We walk a lot in the summer. Dogs can become easily overheated in hot weather, especially breeds who have a difficult time cooling themselves, like Bulldogs. Heat stroke can be fatal. Most of the time this occurs early in the summer when your dog has not yet adjusted to warmer temperatures for the season. Dogs can also burn their paw pads on hot cement or asphalt, leading to nasty, painful wounds. Solution: The amount of exercise, even light walking, your dog can handle depends on his ability to adapt to warm weather, the amount of time he has had to adapt to rising temperatures, his ability to cool himself, and his health status. Check with your veterinarian before considering exercising your pet in hot weather. Depending on where you live, walking in the morning or evening may provide cooler temperatures during summer months and a more ideal temperature at which to exercise your dog. Now that you have tools and ideas to stay safe, take advantage of the exercise and relaxation walking your dog provides. Know an avid dog walker? Share this article with them. Dr. Stepita is a board-certified veterinary behaviorist, author, educator, and dog foster mom committed to helping pet owners improve their pet's behavior problems though her San Francisco Bay Area veterinary behavior practice.